In order to better prepare local communities for future extreme weather events, DuPage County is currently creating a resiliency plan for the East Branch Watershed, which encompasses the central portion of DuPage County extending from Addison into Will County.To accomplish this, DuPage County is enlisting the support of local communities to provide information on flooding and quality of life in the area. 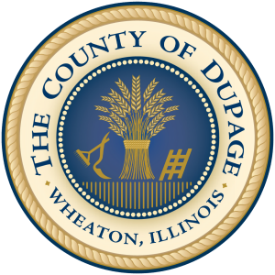 DuPage County will hold a third public information meeting regarding the creation of an East Branch DuPage River Watershed Resiliency Plan. Lombard Village Hall, 255 E. Wilson Ave.
During the public meeting, constituents will have the opportunity to learn more about the data and information that helped form the draft document, as well the proposed recommendations moving forward. In addition, they may provide feedback and input on the draft Plan. The draft East Branch DuPage River Watershed Resiliency Plan is currently open for public comment through Tuesday, February 24, 2015. During the public meeting, residents and small business owners will have the opportunity to learn more about this planning process, as well as submit ideas and input that may be incorporated into the plan.